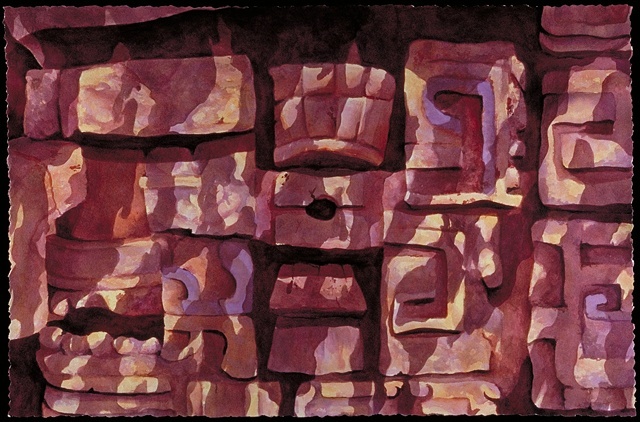 This series of paintings was my concentration for Graduate School. 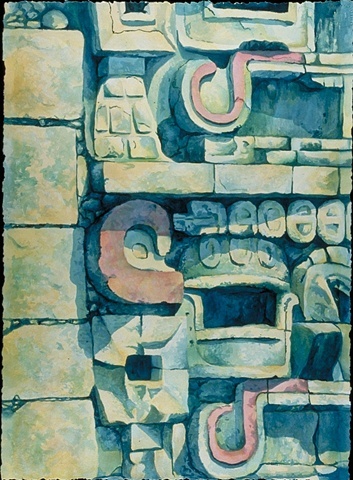 In December of 1999 I received a Master’s of Art in Painting from Northern Illinois University. 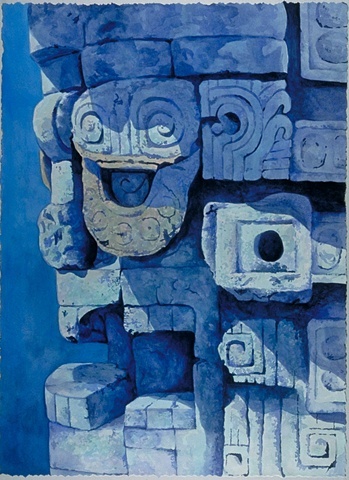 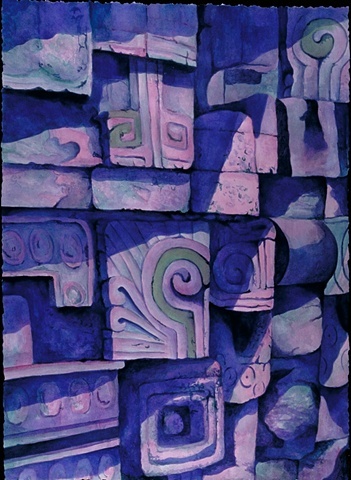 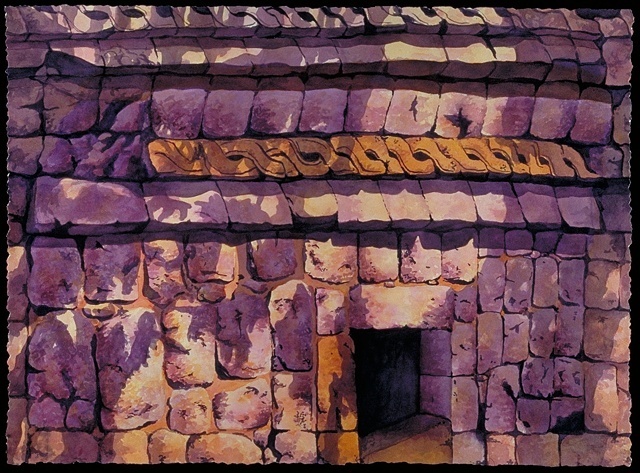 My thesis included creating over 24 acrylic paintings of Mayan Ruins. 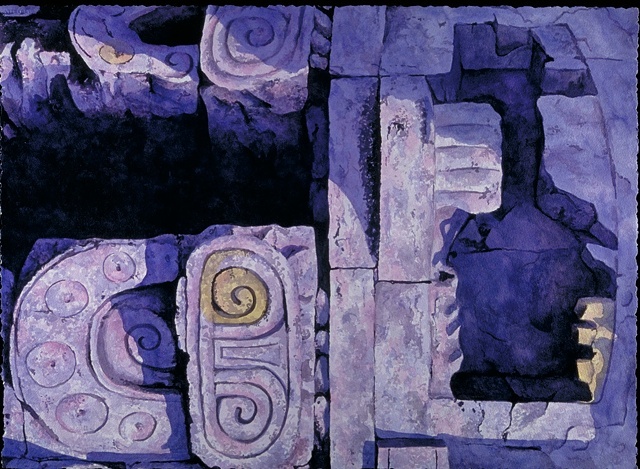 The starting point for the paintings were black and white photographs taken on my journeys to the Mayan ruins of Chichen-Itza, Tulum, and Coba. 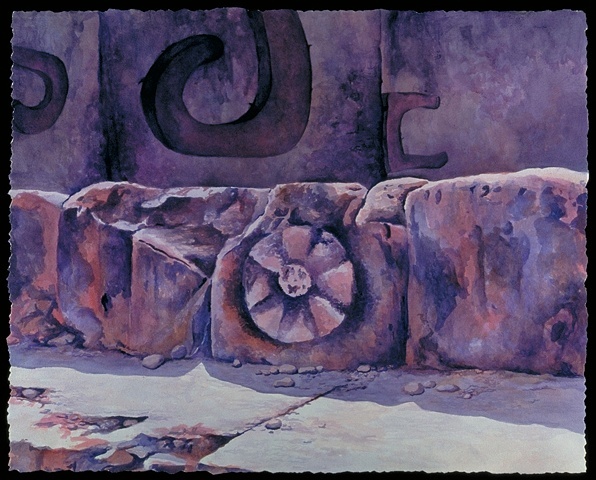 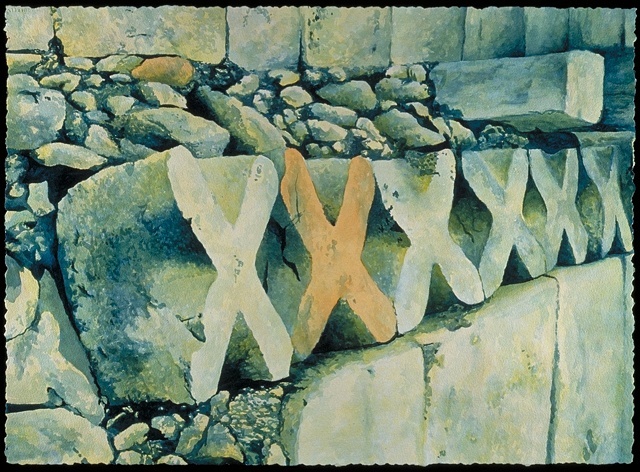 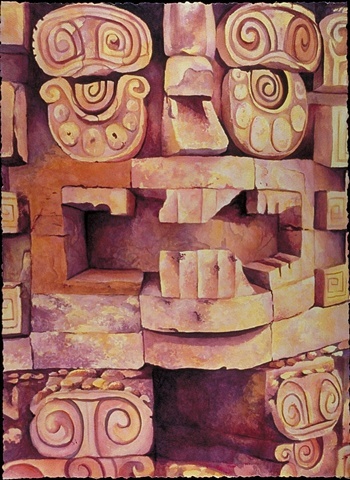 Initially, the focus of my paintings was on the organic forms, patterned shapes and the tactile qualities of the ruins. 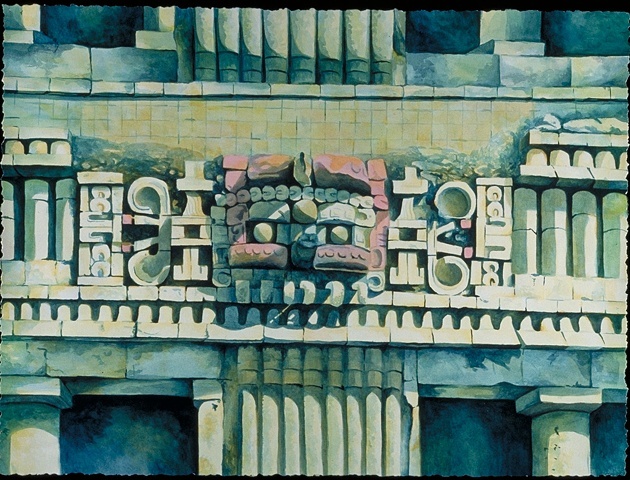 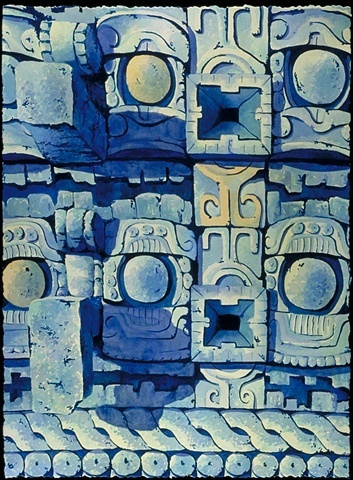 It was my desire to explore the architectural forms of the Mayan culture without losing sight of the human characteristics incorporated into their definite organic shape. 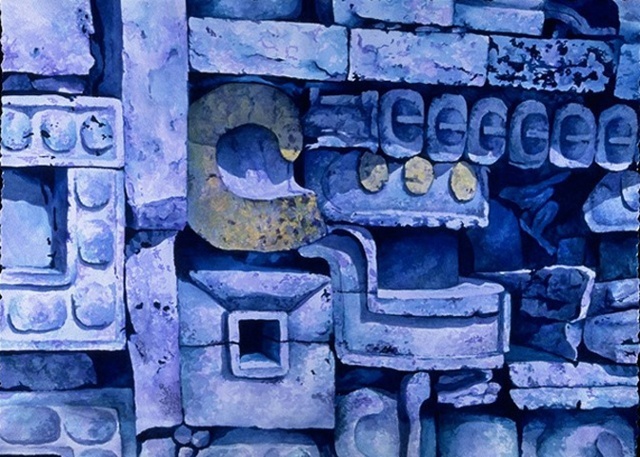 The flavors, colors, and textures of the entire Mexican society soon heavily influenced me. 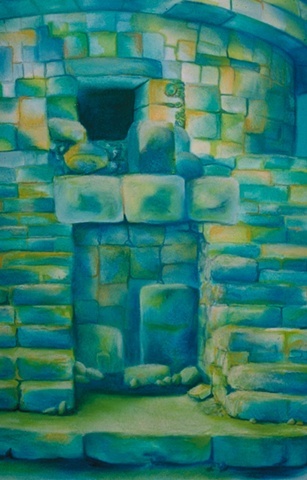 I wanted to show how sunlight effects the colors and creates an emotional, evocative quality. 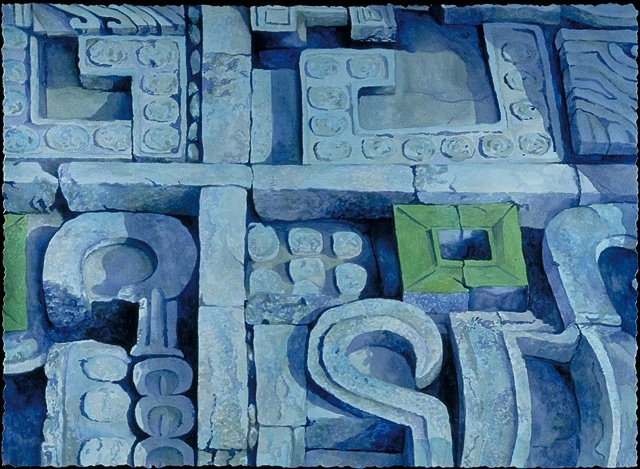 I wanted to create images that would stimulate a new way of seeing these monuments; structures that were not forgotten by the passage of time, especially in this frenetic, throw away society. 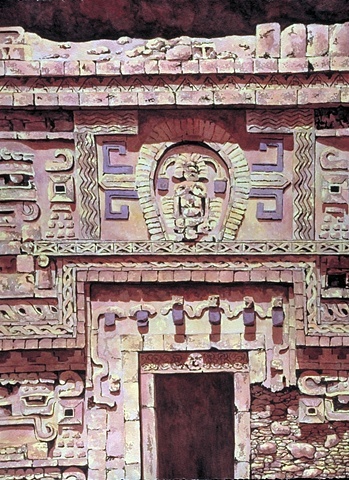 In creating these images, I hoped to bring these buildings back from the past in order to tell their stories and the stories of the people who built them.